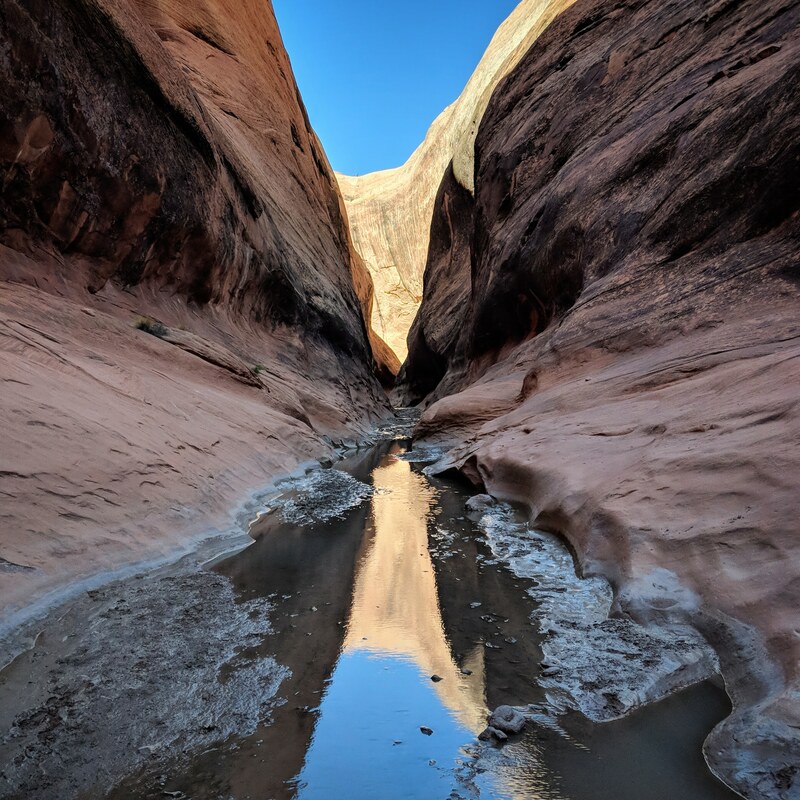 Day 30: No flash flood this time hiking through Halls Creek Narrows. But, I did run into five girls all wearing sun dresses. Weird.